While there are those people who would love to work forever, there comes a time when you are forced to lay down your proverbial tools and take life a little easier – be it for health, wealth or legislative reasons. Retirement ages vary from country to country and usually start at 55, but can go higher. Men and women also usually have different retirement ages. Companies mostly have certain age limits for their employees, while those that work for themselves can sometimes afford (or be forced) to continue working beyond the ‘normal’ retirement age. However your life plays out, there will most probably be a day when you need to stop working. So what happens then? No work means no work income, and you are still going to have living expenses to take care of. To ensure a comfortable living in your old age, most large companies have pension or provident schemes that their employees belong to. These vehicles are there to serve as income providers when the employees retire. But sometimes this isn’t enough, or you don’t work for a company that provides such funds. This is where the retirement annuity (RA) comes in handy. RAs are funds that pay out a set income monthly, ensuring that you have some way of covering your living costs. They are administered by an insurer or administrator who invests your funds on your behalf. Payouts are in the form of cash payouts per month, or a lump sum to your beneficiaries upon your death. As with all investments, the sooner you start, the bigger your pool of money will be when you eventually retire. The alternative would be to pay much higher monthly instalments, which isn’t always possible. So don’t delay. 1. People who work for themselves. 2. People who don’t have a company pension or provident fund. 3. People who have a company pension or provident fund but earn enough to supplement this with additional retirement provisions. While pension and provident funds have certain better benefits than RAs, RAs are great as supplemental income vehicles, and are a definitive necessity for those who don’t have the traditional company funds. When you retire, you will need to re-invest at least two-thirds of your retirement annuity in another form or annuity. This is to ensure that you don’t accidentally (or intentionally) spend the whole amount on something – leaving yourself without an income when you need it most. It may sound like a stupid thing to do – but you’ll be amazed at how many people would simply spend their funds on a car or a lavish holiday. 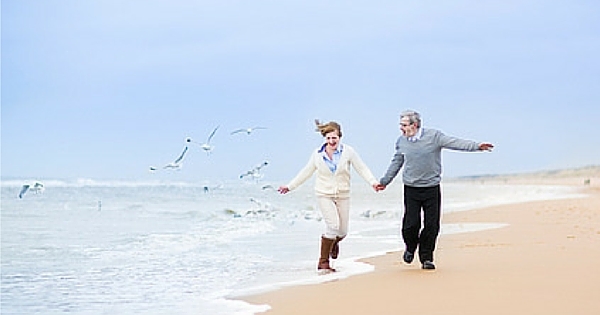 Retirement annuities have some great tax benefits that need to be mentioned. Firstly you get a tax deduction on your contributions made each year (meaning more money in your pocket to invest/save). Secondly, you pay no tax on the investment’s growth (where other types of investments will charge tax on this). Do note that there will be a tax levied upon the payout of your RA. Should you, as the holder of the RA pass away, and your family (or other nominated beneficiaries) inherit your annuity, they will not be taxed on it (which is a significant saving compared to the alternative). In such event of your death, your RA will be passed on – so it is quite important that you specify who your beneficiaries are to be. Reason being, that the administrators will advise on how the funds are distributed, taking your dependants and beneficiaries into account. Something to make note of is that one should never only depend on your spouse or partner’s pension/provident or RA funds. This is particularly important information for stay-at-home mothers/wives (and the odd husband). Always ensure that you have your own pool of money for your old day. Anything could happen (divorce, change in the Will etc.) that could leave you without any money with which to take care of yourself in the future. Ensure you plan for yourself. Don’t become a statistic. RAs have a few other benefits which I’ll mention in conclusion. If you pay your instalments for the full term, you will get a payback of most of the fees you spent over the years, servicing your fund. This is quite a nice bonus for your loyalty. That said – if you ever hit hard times, you can skip up to four months of repayments, should you need to. You can even stop paying and your current investment will be safe. So there are a few safety nets, should you need them. Most of us are scared to even think of the prospect of living in close to poverty conditions in our old age, but if you don’t kick start your retirement savings now, this may well become your reality. On the other hand, if you plan well, and take some professional advice, you may be able to retire comfortably after all. Planning is always key.